Ofloxacin U.S.P. 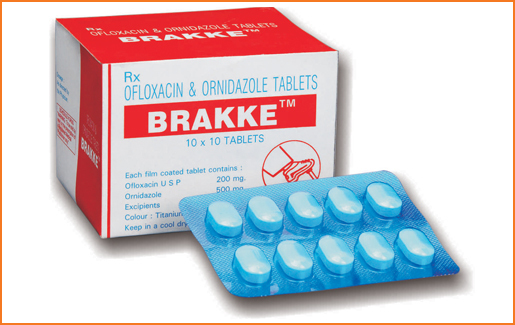 ............................................... 200 mg.
For the empirical treatment of mixed aerobic-anaerobic and protozoal infections commonly seen in clinical practice, e.g. intra-abdominal infection, gynaecological and pelvic infections, lung abscess, and acute diarrhoea or dysentery due to mixed infections.